WHAT IS PAINTZEN Paintzen is the only painting company that combines online booking, high-quality paints, color inspiration tools, competitive prices, & top-rated painters ready to start within 72 hours -- all in a simple, one-stop solution for all of your painting needs! A revolutionary service that allows for walkthroughs to now be a thing of the past, our online quoting tool and excellent customer service can get you a quote remotely with just a few details about your project. Get a quote online or over the phone today! OUR STORY Finding a reliable painter can be difficult and daunting. That’s why in 2013 we created Paintzen, a revolutionary service that makes it quick and easy to get your home or office painted by a trustworthy professional at a very competitive price. With over 100,000 walls refreshed, we know how to choose the best painters for your project. We hand select local crews through our thorough vetting process - all so you don’t have to. If they can’t uphold our industry-leading customer satisfaction ratings, they can’t be on our platform! Palette-Pro takes pride in being a leading full-service painting and home improvement firm that provides the highest quality painting services, professional preparation and application at the most competitive price. Triangles is a company built to make a difference. Since the beginning we made a promise to both ourselves and our customers; to grow through creativity and innovation. We have quickly come to be considered as one of the leading companies providing Painting & Home improvement services. Triangles is encouraged to be committed to a project rather than just be involved in it. Nazarian Painting and Home Remodeling is a full service painting and home remodeling company. We specialize in exceeding the expectations of even the most discerning customers. Well versed in everything from the oldest homes needing restoration to the most modern projects. When a company has been in the business for many years, you just know that they can be trusted. With over 28 years of experience, All Painting Decoration Corp is a fully insured home and commercial painting contractor, serving major locations in NY including Bronxville, Scarsdale, Harrison, Bedford Hills, Armonk and surrounding areas. We understand the value of finding the right painters can make all the difference in the world for your home improvement plans. Every color, down to its specific shade, will affect how people see both your home and you. As you can imagine, it’s very important to make sure that your paint job makes a solid first impression. We are dedicated to making sure that our customers receive the quality service they deserve. We offer our customers the highest quality work in the industry with our reliable schedule and lowest possible pricing. Our satisfied customers all around different locations in NY including Bronxville, Scarsdale, Harrison, Bedford Hills, Armonk and other surrounding areas have a lot more to say about the quality of the projects we have completed for them. Interior and Exterior painting projects require specialized skills, we are always a preferred name as a Professional and Skilled Services Full service painting contractors. Meticulous surface preparation. Most up-to-date painting tools. Quality work completed on time & on budget. All Work and Materials Guaranteed. Our company takes great care of your property and possessions. We pride ourselves on our ability to provide customer satisfaction through our hands-on approach. All Kind of repair, aesthetic jobs and quality Interior & Exterior house painting services with a highly professional crew We offer free estimates, for painting projects for both house and commercial setting. With so many factors to consider, you definitely want professional contractors on the job. Find out more about the contractors who you’ll be working with. 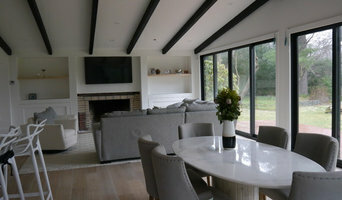 If you’re looking for high-quality painting services in Westchester and Fairfield County and the surrounding areas, contact us and we’ll provide you with more information on the variety of services we provide here in NY particularly in areas of Bronxville, Scarsdale, Harrison, Bedford Hills and Armonk. Miriam Stern is an award-winning artist who has been exhibiting her art for over 25 years. She has also run a successful decorative painting business where she painted murals and created faux finishes for walls, floors, ceilings, and furniture. Her experience as an artist working with architects, designers, and decorators has enabled her to make the transition to become a color consultant easy and smooth. Her skill with paint and color together with her ability to listen to her clients and understand what they need has made her a knowledgeable and qualified color consultant. Give Miriam a call 201-837-6157 to experience color in a new way. Hue Can Do It. 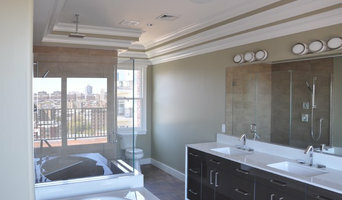 Founded in San Marino of Northern Italy, Decorfin specializes in unique decorative wall finishes and Venetian Plaster. Through its signature brand of high quality, water-based and solvent-free products, Decorfin has developed an unparalleled approach to decorative wall designs. . Decorfin offers a wide range of approximately 16,000 dynamic shades of color in Venetian Plaster. These Venetian Plaster finishes contain lime and real marble dust along with texture enhancers that hold an important role in creating the extraordinary designs and color schemes that have made Decorfin the worldwide success it is today. With the ability to match or create any custom color or texture, Decorfin can hand craft walls to complement any theme of design. For Decorfin and its skilled craftsmen, a wall is more than just a background color. It is a complementary accessory that can add life, character and art to any space. With the stroke of a hand, one can immediately sense the uniqueness of the finishes which can range from smooth as marble, to the feel of antique velvet and even textured silk. The innovative blend of color and texture transform plain walls into pieces of art. Decorfin’s experienced craftsmen have combined technology with traditional Italian Venetian plaster, enabling the company to take the interior decoration of homes, offices and public spaces to new and innovative levels. DECORFIN IN PRODUCTS Decorfin offers a diverse range of high quality water-based products, which enable the creation of wall finishing in any color or texture desired. Decorfin’s products are all natural with real marble dust, highly resistant, completely odorless and solvent-free and enable breath-ability for mold prevention. Due to a specialized application process, there is no need to sand walls between each layer application. This not only saves time, but ensures a clean wall and a tidy work area. Born with a paint brush in our hand and the eyes of an interior designer, Paintworks & Decorating was created to improve people’s lives by improving the look, feel, and safety of their home and work spaces. Crafted and polished through 25 years of experience, we know how to get the job done correctly and on time. All crew members are trained to deliver the highest level of craftsmanship. Certified and insured, Paintworks & Decorating is an expert painting company with the ability to complete residential, commercial, and industrial projects. Whether it’s industrial fireproofing, commercial metal refinishing, or interior painting of an apartment, Paintworks & Decorating does it all. For over 30 years, Dino & Sons Painting Inc. has delivered top-quality interior and exterior home painting throughout Westchester and Fairfield Counties. Our entire team of professional painters shares in focused on quality results, unparalleled reliability and integrity, and providing the highest level of customer service. We are proud to serve a growing number of loyal, repeat customers who trust in quality home painting that’s always done right the first time. Dino & Sons Painting Inc. is a full-service commercial and residential painting contractor with over 30 years of experience. Our knowledgeable team of painters has the experience needed to enhance any architectural style while catering to your aesthetic desires and the climate requirements of Westchester County and surrounding areas. At Dino & Sons Painting, we know that the look of your home is not as important as those living in it. Homeowners can take comfort in knowing that we only use premium paints so that hazardous chemicals or vapors never affect your loved ones. 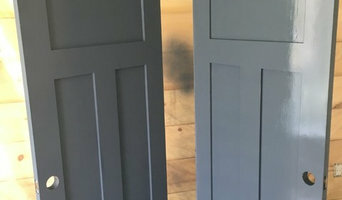 As a superior painting contractor, we have a skilled team that is able to take on any unique project, guaranteeing both a beautiful paint job and the protection of your property, belongings and furniture. We ensure that all areas you wish to paint are optimally prepped prior to application in order to ensure optimal coverage delivering quality house painting that is done right the first time. You can further trust Dino & Sons Painting to clean up after every project at the end of each day, leaving you with nothing but beautiful home painting. Contact us today for your free estimate on professional, experienced, high quality residential painting in Westchester and Fairfield counties. At CertaPro Painters, our reputation is based on Certainty — your Certainty of a job well done. We focus on the details of every project — interior and exterior — and we focus on you, our client. We are the largest and most referred painting contracting company in the USA. We are also a locally owned painting company and have built our reputation on delivering exceptional service and outstanding quality painting to our customers. Precision Painting Plus is a full-service painting company. We provide a wide range of finishing services including - faux painting & textured painting - wallpaper installation & removal - drywall/sheetrock installation - trim & molding installation - lead paint removal - power washing - floor refinishing & installation - and more! Our project managers bring with them years of renovation management experience for residential and commercial projects of all sizes and can assist you by helping keep your project STRESS-FREE, ON-BUDGET, and ON-TIME. We specialize in interior and exterior painting projects for residential & commercial customers. We deliver top-notch quality at the lowest possible price. When you work with Precision, you can feel confident in your choice, because your satisfaction is guaranteed! We offer a 100% Customer Satisfaction Guarantee. Visit our website for details. Call today to schedule your Free Estimate Appointment. History: Precision Painting Plus was established in 2007 as a new type of painting company. A more modern & more professional company, built off the foundations laid by other highly successful service companies. Our goal with every customer is to deliver: great quality, customer service, and prices. What makes us different is that our customer-centered focus is ingrained throughout every level of our company. Some examples of this include: - Customer Satisfaction Guarantee - Our owners insist that we are held accountable for the satisfaction of our customers. - Customer Loyalty Program - Developed to reward our repeat customers and show our gratitude for customers who provide reviews and referrals. - Established Reputation You Can Trust - Winners of Super Service Awards two years in a row for Interior & Exterior Painting, we have hundreds of reviews across the internet that speak for themselves. At Pound Ridge Painting Co., we take pride in our skilled painters, carpenters and office staff to provide exceptional, quality service. There is no great secret to obtaining exceptional results. It takes time, relentless attention to detail and top-of-the line materials. That, combined with hard work, you end up with craftsmanship that stands the test of time. We guarantee that your experience with Pound Ridge Painting Co. will be unmatched. Was macht ein Maler und Lackierer in Passaic, NJ? Maler ist ein Handwerksberuf mit langer Tradition. Zu Ihren wesentlichen Aufgaben gehört das Anbringen und Auftragen von Anstrichen und Beschichtungen aller Art. Dabei lautet das Ziel nicht nur, Wände zu verschönern, sondern auch zu schützen und instand zu halten. Holz-, Metall-, Kunststoff- oder verputzte Flächen müssen entsprechend vorbehandelt werden. Darüber hinaus unterscheidet man zwischen dem Anbringen von Tapeten oder Paneelen sowie dem klassischen Bemalen der Decke oder Wand. Die offizielle Berufsbezeichnung in Deutschland lautet Maler und Lackierer, wobei natürlich das Lackieren von Fenster, Türen oder Möbel gemeint ist. Häufig betätigen sich Maler auch als Tapezierer in Passaic, NJ. Überschneidungen, was Ihr Handwerk und die Dienstleistungen angeht, gibt es mit Raumausstattern, Gipsern oder Stuckateuren. Ob Anstreichen oder Beschichten: um die ganze Palette von Wandgestaltungen anbieten zu können, muss ein Maler in Passaic, NJ über gute Kenntnisse verschiedener Oberflächen, Farbmittel und Techniken verfügen. Das eigentliche Bemalen unterteilt sich je nach der Beschaffenheit des Untergrunds in mehrere Schritte, etwa Grundieren, Bemalen oder Lackieren. Bei manchen Flächen muss vorher Putz aufgetragen werden, damit der Anstrich eben wird. Bei der Malerei kommen verschiedene Arbeitsgeräte zum Einsatz: neben Pinseln und Farbwalzen in verschiedenen Größen beherrschen Maler den Umgang mit Spachteln zum Auftragen von Verputz. Spritzgeräte kommen beim Lackieren der Fenster und Türen zum Einsatz. Maler in Passaic, NJ verfügen über verschiedene Techniken, um Wände kreativ zu gestalten: Sie verfügen über Streichputz-, Pinselzug- und Tupftechnik sowie über die Wisch- und Wickeltechnik. Bei der Streichputztechnik arbeiten sie mit Bürsten, beim Pinselzug werden zwei verschiedene Farben nacheinander aufgetragen und bei der Tupftechnik wird die zweite dunklere Farbe mit einem Naturschwamm aufgetupft. Bei der Wischtechnik werden Wandlasuren aufgetragen und mit einem speziellen Handschuh verwischt. Und bei der Wickeltechnik wird auf der Grundfarbe mit einem Lederwickeltuch Effektfarbe durch Drehen und Wringen aufgetragen. Dank der Expertise können Sie dem Maler in Passaic, NJ vertrauen. Lassen Sie sich daher vom Maler bei der Auswahl der Wandfarbe beraten. Lassen Sie sich verschiedene Farbpaletten zeigen. Die neuesten Farbtrends für die Innenraumgestaltung sollte Ihr Maler ebenso kennen wie verschiedene Problembehandlungen bei der Beseitigung von Schimmel oder einem Wasserschaden. Im Zentrum Ihrer Arbeit steht die Ausführung sämtlicher Malerarbeiten im Innen- und Außenbereich. Bei der Innengestaltung steht das Streichen von Wand, Decke oder Boden im Zentrum. Außenarbeiten umfassen in der Regel einen neuen Fassadenanstrich, denn Gebäudefassaden sind durch Witterung besonders beansprucht. Während für Malerarbeiten im Innenraum eine Leiter oft ausreicht, um sämtliche Flächen zu erreichen, verfügen große Malerbetriebe für Fassadenanstriche über spezielle Gerüste oder Hebebühnen. Das Lackieren von Fenster und Türen wird darüber hinaus oft in Werkstätten ausgeführt. Hinzu kommen Sonderleistungen wie Tapezieren, denn das Anbringen von Tapeten erfordert viel Erfahrung. Neben der Vorbehandlung und Grundierung der Wand verfügen Maler und Tapezierer in Passaic, NJ über die entsprechende Ausrüstung für Tapezierarbeiten (Tapeziertisch, Kleister). Ungeachtet der angebotenen Dienstleistungen, sollten Sie bei der Auswahl eines geeigneten Maler-Fachbetriebs auf Qualität achten. Fragen Sie Ihren Maler nach der Mitgliedschaft in einer Innung. Eine Maler- und Lackiererinnung stellt einen freiwilligen Zusammenschluss von Handwerkern dar. Diese sind in verschiedenen Landesverbänden des deutschen Bundesverbands Farbe, Gestaltung Bautenschutz organisiert, der Bundesinnung für das Malerhandwerk in Deutschland. Neben der Qualität in der Ausführung spielt der Service eine herausragende Rolle: Pünktlichkeit, Sauberkeit und Zuverlässigkeit sollten für jeden Handwerker eine Selbstverständlichkeit darstellen. Vor der Auftragserteilung sollte eine persönliche und individuelle Beratung vor Ort zu Farben und verschiedenen Gestaltungsmöglichkeiten erfolgen. Natürlich interessieren auch die Kosten für Maler: Informieren Sie sich im Vorfeld, welche Leistungen der Malerbetrieb in Passaic, NJ anbietet und lassen Sie sich für die Ausführung von Malerarbeiten einen Kostenvoranschlag erstellen. Bei Wünschen wie Lackier- oder Tapezierarbeiten ist es wichtig zu wissen, über welche Erfahrungen der Maler verfügt. Größere Projekte wie Fassadenanstriche, für die das Aufstellen eines Gerüsts erforderlich ist, werden nicht von allen Malern angeboten. Was kosten Maler und Lackierer in Passaic, NJ? Die Farbe ist ein weiterer Kostenfaktor. Möchten Sie besonders hohe Qualität, steigt der Preis. Der Maler montiert auf Wunsch auch Stuckleisten. Kontaktieren Sie auf Houzz kostenlos Maler und Lackierer in Passaic, NJ und erhalten Sie ein individuelles Angebot. Mit der Expertensuche von Houzz finden Sie schnell und einfach Maler und Lackierer in Ihrer Nähe. Nutzen Sie die Umkreissuche, um Ihre Suche nach einem Malerbetrieb in der Umgebung von Ihrem Wohnort Passaic, NJ einzuschränken. Durchstöbern Sie die Profile der Experten, lesen Sie die Unternehmensbeschreibungen und informieren Sie sich über die angebotenen Leistungen. Sie interessieren sich für Lehmputz oder besondere Spachtelungen beim Innenanstrich? Nutzen Sie die Möglichkeit, auf Houzz Malerfirmen in Passaic, NJ unverbindlich für ein Angebot zu kontaktieren. Hier erhalten Sie mehr Informationen zu Ihrem Auftrag oder zu den Kosten für den Maler oder Tapezierer.